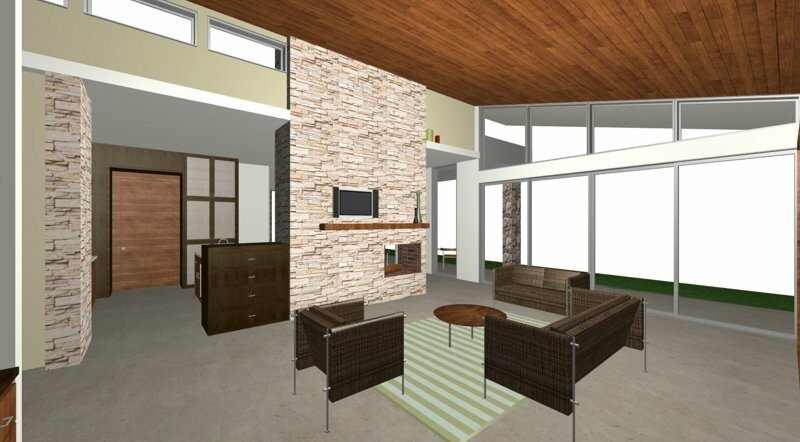 This mid-century modern inspired house plan is just over 2000 square feet with three bedrooms, 2.5 baths and a side-entry two car garage. Large floor to ceiling windows are perfect for view lots along with the large covered patio area at the back. The master bedroom has a full bath with two sinks, separate tub and shower and walk-in closet. The plan also features a wetbar / veggie prep area and a built-in computer desk. Standard Plan Sets for this house plan include a single-use license. You may send pdf files to your local blueprint copy store and print as many copies as necessary to build one house one time. CAD files, when available, include a license to use and/or modify the house plan to build one house one time. Standard Plan Sets in digital format will be e-mailed to you within three business days from the date of purchase. Hard Copies, USB or CD formats will be shipped out via mail within three business days from the date of purchase. Multi-use licenses may be available. If you have purchased this house plan, you may log in and post a house plan review. You must be logged in to post a house plan review.